Liberals never did know much about fashion. Laura Bush was the last good one we had. I am so happy with Melania and the way she present us in front of the world! 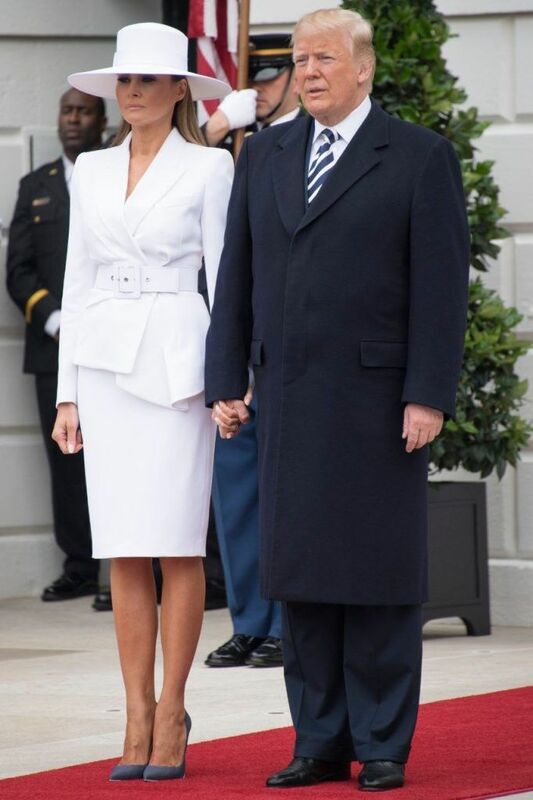 Melania Trump always looks gorgeous and she is always well dressed.President Trump and Melania were perfect today as they were getting ready to greet French President Emmanuel Macron and his wife, Brigitte Macron at the White House on Tuesday. 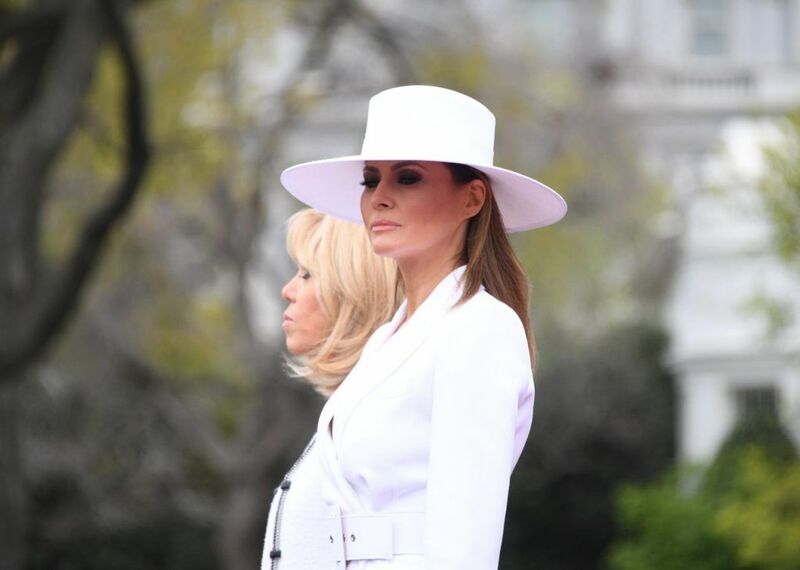 Mrs. Trump wore the off-the-runway, asymmetric Michael Kors Collection double crepe jacket with a matching skirt and wide brim, both also from the Spring 2018 collection by Kors. 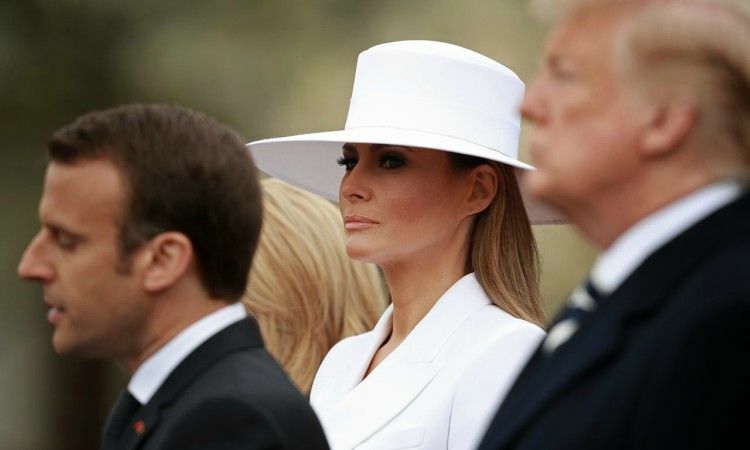 The wide brim hat is a first for Mrs. Trump as she normally wears her hair in her signature middle part and layered waves. The Michael Kors Collection blazer retails $2,195 at Saks Fifth Avenue. The all-white look was broken up with a pair of denim stilettos by Christian Louboutin, the quintessential nod to classic American fashion and luxury Parisian footwear. The “So Kate” pumps retail for $775 at Neiman Marcus. Imagine Mrs. Trump on vacation having a croissant in the south of France. This is exactly the kind of outfit she would wear: A refreshing take on the skirt suit and a lot of flare with a beautiful church hat. Well now, we know the backstory behind it. Melania’s suit was designed by Hervé Pierre and it came in at $2,195 from the Michael Kors Collection. Pierre also designed her white inauguration gown. Melania also sported her signature high heels. This time, she chose 4.7-inch heels created by French designer, Christian Louboutin. 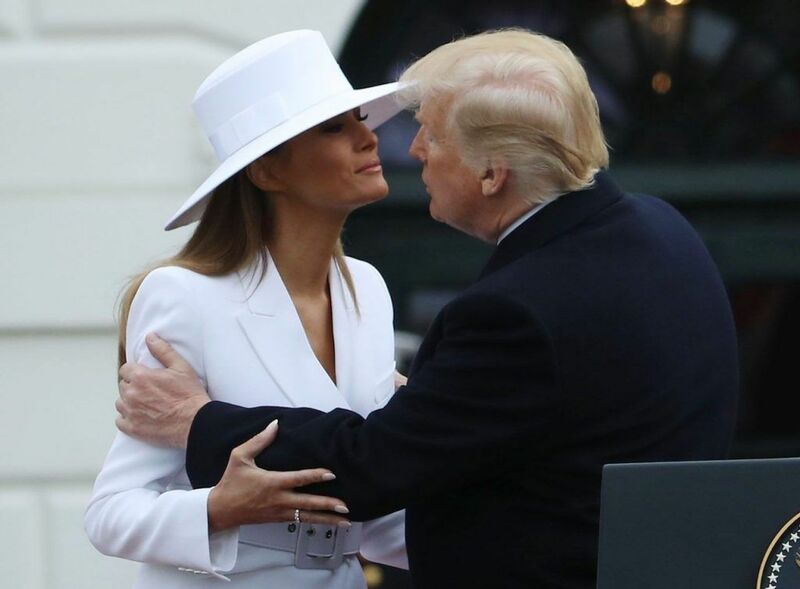 Melania likely chose the outfit because white is her favorite color. At the State of the Union address, Melania also wore a jaw-dropping white, Dior jumpsuit. 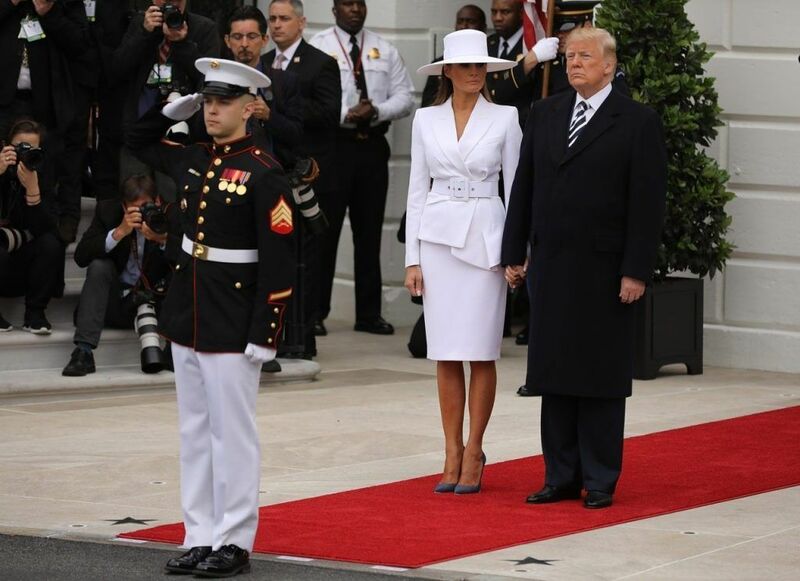 What do you think about Melania’s outfit? OWNER OF RED HEN RESTAURANT THAT TOSSED OUT SARAH SANDERS RESIGNS FROM MAIN STREET LEXINGTON BOARD!